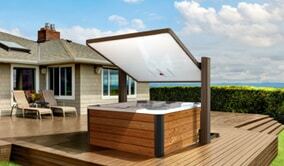 The HORIZON model lets you benefit fully from your spa while protecting you from the sun’s rays and bad weather. 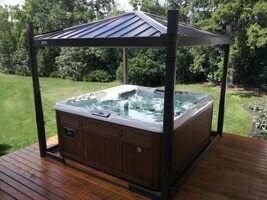 The COVANA EVOLUTION offers the greatest range of possibilities to fit larger and round hot tubs. Get a full description of our product, hear what people have to say about their OASIS experience and find answers to frequently asked questions. 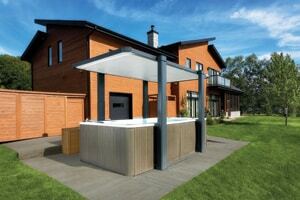 Launched in 2014, the LEGEND is your swim spa automated solution.